So what is the story here and who are the people. Joseph Kirkland is the only one I know and he is 3rd from the right. So why is the rather glum lady rolling a ball into a coffin-like object, why are the young girls dressed like Eastern princesses, and why the bouquets? 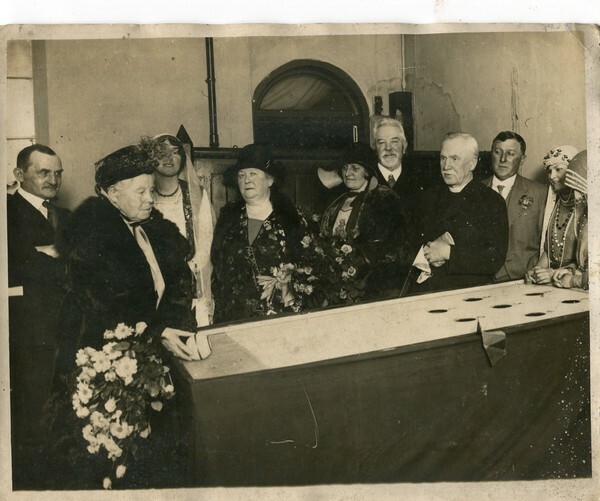 Jane the photo with J.Kirkland advertizing his concert on the Ophecieide at the Chapel will give you the direction of this group photo possible Methodist Chapel? Jane it looks to be a Church/Chapel bizzar, and the cofffin like object a roll ball game. The ladies with boquays would be the Dignitries who had opened the proceedings. Possible Fancy Dress competition with girls dressed in Eastern costume. Gambling such as raffles were frowned upon so these activities would bring some monies in, just a guess.